Commands for devices are often missing when the wrong model number has been entered during account creation. We recommend first double checking that your device's model number is correct. Select the device you would like to update. Select Add or Fix a Command. Select Fix a command that doesn`t work. Select the command you want to fix and click Next. Harmony 200/300/350/600/650/700 remotes connect from the top of the remote. 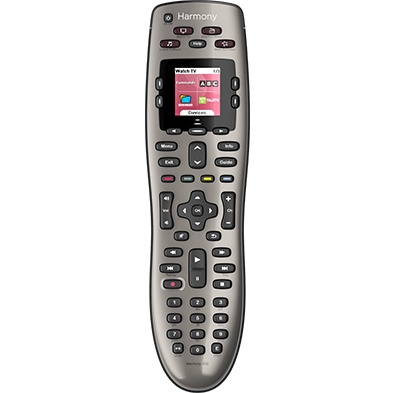 Harmony Touch, Ultimate and Home remotes connect from the bottom of the remote. Do not use the charging cradle. 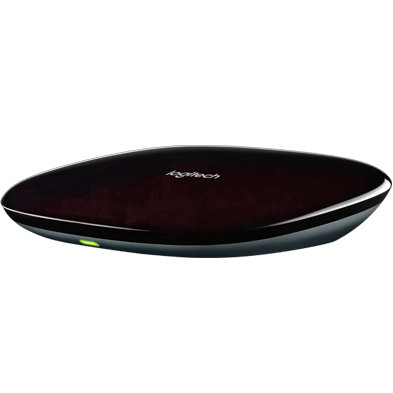 The Harmony 200/300/350/600/650/700 IR input sensor is located at the top of the Harmony remote. Press the button that you want to teach on your original remote control. Hold the button for 1 to 2 seconds. The instructions on MyHarmony desktop software will notify you once the command is recognized. 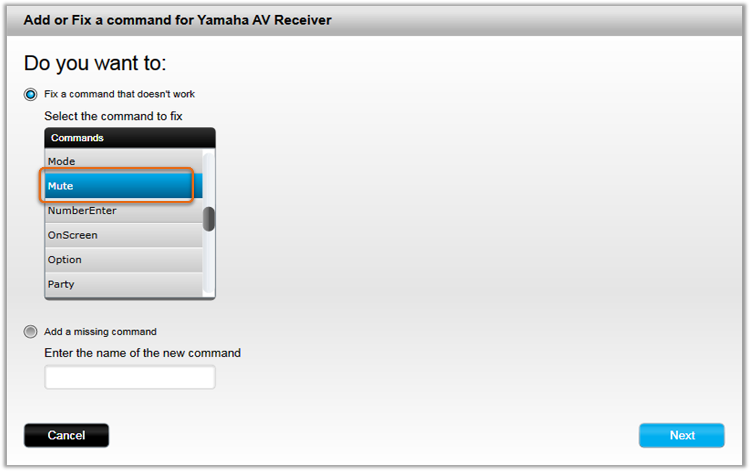 Once you have added the new command you may then assign it to a button on your Harmony remote. 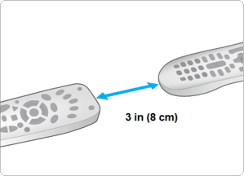 Learn more about customizing physical buttons on your remote. 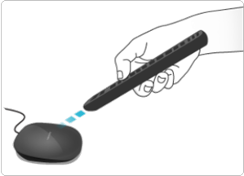 Learn more about customizing buttons on your remote screen. Learn more about customizing buttons in the Harmony App. Select the MENU icon from within the Harmony app. 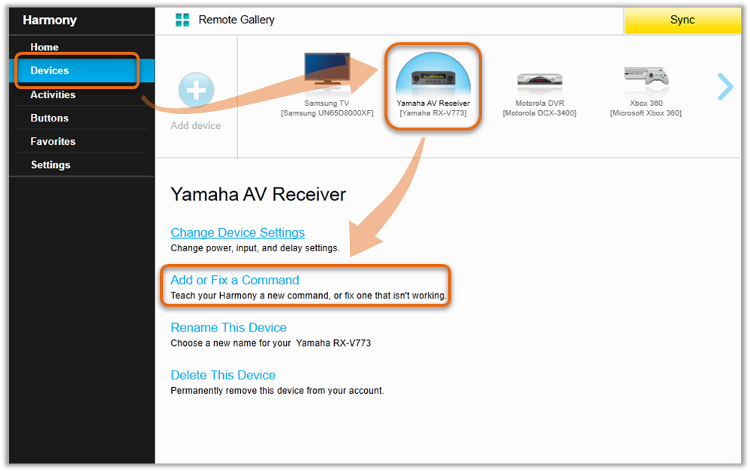 Select HARMONY SETUP > ADD/EDIT DEVICES & ACTIVITIES > DEVICES. Select the device you wish to modify, and select ADD/FIX COMMAND. Select the command from the list and press > in the top right to continue. 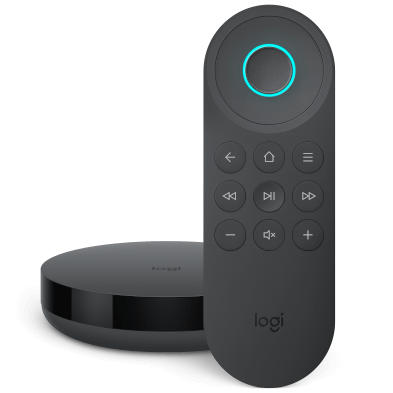 Point the tip of your device's original remote control at the IR input sensor on your hub as instructed by the on-screen photo. 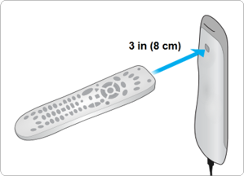 The remote should be approximately 3 inches (8 cm) apart from the hub. Harmony App will notify you once the command is recognized. Press > in the top right when done. Tap the device you would like to modify, followed by Teach Command. Tap the pencil icon next to the command you would like to teach and follow the on-screen prompts.